Tomorrow is the day! You can start purchasing all these awesome stamp sets! Here are the last of the sneak peeks! Was a beautiful set this is! FREE with a $50 order! These DT members have sneak peaks on their blogs for this set: Laurie, Kim, Nancy (links to their blogs on left side bar). These sets are perfect to start building a monthy projects with....or for your favorite flower lover! These DT members have sneak peaks on their blogs for this set: Laurie, Katie, Tori (links to their blogs on left side bar). Hope you day is filled with blessings and stamping galore! Day three is here....I hope you are getting excited about what we have coming March 1st! Butterflies are just brimming over in this set! These DT members have sneak peaks on their blogs for this set: Laurie, Kim, Monique, Linda, Stacy (links to their blogs on left side bar). How adorable is this set????? You are going to have to add it to your collection! These DT members have sneak peaks on their blogs for this set: Laurie, Kim, Monique, Alysabeth, Tori (links to their blogs on left side bar). I just love this set! Don't you? This set is good for every occassion! These DT members have sneak peaks on their blogs for this set: Laurie, Katie, Nancy, Alex (links to their blogs on left side bar). Day two of sneak peeks for March 2009! I hope you had time to go visit all the other Design Team member's blogs to catch a glimpse of what is coming! I think this is one of my favorite Charlies....I just love him running through the daisies! These DT members have sneak peaks on their blogs for this set: Laurie, Kim, Monique, Alysabeth, Linda, Stacy, Alex(links to their blogs on left side bar). My farm boy is going to love this set! You asked for sets for guys....this one is definitely for the guys! These DT members have sneak peaks on their blogs for this set: Laurie, Kim, Stacy, and Tori (links to their blogs on left side bar). These DT members have sneak peaks on their blogs for this set: Laurie, Nancy, Alysabeth (links to their blogs on left side bar). This set was meant to accent the Old Time Church....Candy made a little church booklet with hers! These DT members have sneak peaks on their blogs for this set: Laurie, Nancy, Alysabeth, Stacy (links to their blogs on left side bar). It is time for a few sneak peaks.....I can't believe March 1st is Sunday! This year is just flying by! You are going to fall in love with this set: Kitchen Clutter. It is adorable! It is perfect for creating a kitchen scrapbook or recipe book! Not to mention, gifts for your favorite cook....and we all have one! Was a beautiful set this is! This sample is by Candy Fosta. These DT members have sneak peaks on their blogs for this set: Laurie, Kim, Monique, Katie, Alex, Linsey (links to their blogs on left side bar). A simple set, but brimming with possibilities! This set is perfect for flowers, backgrounds, and much more! These DT members have sneak peaks on their blogs for this set: Laurie, Monique, Nancy, Linsey (links to their blogs on left side bar). Don't forget to check back tomorrow to see more! Wanna be a Guest Designer for the month of March? MARCH 2009 GUEST DESIGNER CHALLENGE!!!! Use anything pearlized or just use pearls on your card or project. Let's see how creative you can get with pearls! To get you started, there are sticky back half pearls, pearls for a hat pin, pearl beads, pearl dew drops, pearlized papers, pearlized liquids, pearlized embossing powders... can you think of anything else? You may use the pearl item directly on your images, or as accents. Use as much pearl as you want, or as little as you want, the point is to show us your creativity with pearls. The chosen winner will be our Guest Designer for that release month, and will receive three stamp sets of his/her choice from that month's releases! Your samples for promoting CDS with your free stamps throughout the month you are a Guest Designer, are expected to be similar in composition and neatness than that of your entry. Hi everyone! Its Katie here and I hope you are having a Terrific Tuesday. I used to love alliteration way back when in high school. There's something soothing about matching up those first letters (lol). Anyway, I've been thinking of ways of using different supplies that I have and this one popped into my head, but originally, I had considered reinkers, but when I first tried my hand at it, it didn't work very well. There were several components as to why this occurred, which was partly due to not having all the right supplies, but in the end, I ended up with a fun project and a cool result using some different methods and supplies. If you aren't familiar with Luminarte Twinkling H2O's, they are a lot of fun. As you can see, they come in small plastic containers and are in a solid form. Just drip, squirt, or spray a little bit of water and watch the color come alive. Depending on how much water is added to the jar, it will affect the intensity of the color you will have. These have a wonderful shimmer to them as well and come in a huge variety of colors. The water will just absorb into the jar and when you are done, just place the lid back on and you're done. The wonderful part about mulberrry paper is that its so pliable, strong yet soft. In a previous post, I used mulberry paper as a soft background by tearing the edges. Since I am adding water to the mulberry paper, it does require some gentle handling but it holds up incredibly well. At this point, you will want to cut a piece that is sufficiently large enough for you to twist up and then you will cut it down to card size later. Now its time to unwrap and this step does require some gentleness. At this time, you can fill in with more colors if you want to. The twisting of the mulberry paper and painting in circles gives you this great foundation to work with. Keep it or add more! I wanted to show you a close up of my "doctoring". See the nice shimmer of orange and pink and then a bit of a blank spot? Here it is all filled in. Remember that for a nice blended look, you will want to use more water. Here is my piece filled in the way I wanted and ready to iron. Yup, you heard it folks, take out your dusty iron and get ready to dry and set your mulberry paper. I've placed a paper towel under the mulberry paper and will place one over the top to protect all my surfaces. I had my iron set on hot and with steam since I always have steam on anyway. Here are a couple of other examples using this same technique. This uses 2 shades of blue on light blue mulberry paper. This one uses one color of purple on lavendar colored mulberry paper. Now for the application of the mulberry paper to my card. I found that for this technique since the mulberrry paper was being handled so much, it worked best to apply it to a sheet of cardstock and then trim to my needed size. I used a glue stick, but I'm sure other types of liquid glue would work. Apply over the entire surface of your choice of cardstock - colored or white work great! So after application, just trim up to desired size. I also used the Twinkling H2O's to paint the baby blanket. I stamped it out separately, painted it, cut it out and then attached with dimensionals. One more card, something super fun and really vibrant! See the shimmer and the neat texture? And my final and a bit more subdued card. Well, that's it folks. It was really a lot of fun and pretty darn easy. I think this technique would work great for any sort of water color medium. I just loved the shimmer aspect to my Twinkling H2O's. If you get a chance to try it out and have your own spin, make sure to send us a link! I just had to make note of this card! This is a very cute card that I thought everyone needed to see! Vicki Hook made a spinner card out of the license plate! Make sure to go watch her video of it! I just thought this idea was WAY to cute to go unseen! I have many crafters wondering what this Flower Soft is all about! So today's tutorials are to just give you some basics! Flower Soft comes in many colors and is so easy to use! It can give your card or scrapbook page that extra touch that makes it very special! Let's get started with Flower Soft! 1. Your Flower Soft comes very tightly packed in a cute little jar. 2. You need to find a much bigger bowl to dump the Flower Soft in to so you can fluff it. 3. Fluff the Flower Soft with your fingers until there are no more clumps. 4. This is what your Flower Soft will look like when it is ready to use! 1. Flower Soft provides special wires for you to use. This is a white coated wire that the glue will adhere to very well. You can color this wire to make your stems green, if you so desire! 2. Flower Soft provides a high tack PVA glue for the flowers. They do not guarantee the results of their Flower Soft with other products, but they do say that if you can find a "high tack PVA glue" in another brand it SHOULD work. In picture number two, I have coated the end of a 2.5 inch piece of the Flower Soft wire with the Flower Soft glue. 3. Next, holding the coated wire over your bowl, sprinkle the Flower Soft over the glued piece of the wire until it is covered to your liking. If the coating is thinner than you would like, you can recoat the flower that is on the wire with glue and apply another layer of Flower Soft after the fist layer is dry. 4. After coating your wire, place it in a piece of foam to dry. This should take about 30 minutes to completely dry....and the Flower Soft WON'T FALL OFF! 1. In this example, I am taking a snowflake punch (I couldn't find my petal punch....I could have sworn I had one!) and made a flower out of it. 2. I glued three layers of snowflakes together and applied the Flower Soft glue to the center of the flower. 3. Sprinkle a layer of Flower Soft over the glued area. 4. Press the Flower Soft firmly into the glue. 5. Shake excess Flower Soft off of your flower. 6. As you can see in picture 5 my center wasn't round....so I just took my nail and pushed the Flower Soft into a circular shape! 7. Once again, if the thickness of the Flower Soft is not dense enough, wait 30 minutes for the first layer to dry, then coat the first layer with glue and apply a second layer of Flower Soft. In this sample, I wanted my ducky to be fuzzy (the duck is from the Cute Critters set) so I took the Flower Soft glue and spread it with my fingers around the duck. I then sprinkled Flower Soft over my duck and pressed it into the glue with my finger. As you can see in the photo, this time I colored my flower stem green before I applied the Flower Soft. In this sample, Laurie (one of my Design Team members) takes the Flower Soft and makes her trees blossom! Isn't it beautiful? All you need to do is dab your Flower Soft glue where you would like it and sprinkle and press on the Flower Soft! You have just transformed ordinary to fabulous! Hope your day if filled with blessing and stamping galore! Good morning friends! Its me (Katie), and guess what, its Tuesday again! Time sure flies when we're crafting huh? 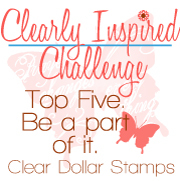 Well, this Tuesday is Stamp Spotlight and I'm going to focus on a couple of my favorites. The first one is a set called Cake Occasions and is a great all around set that will work for a variety of events and is very gender friendly. The other one is one of the wheel stamps called Cute Confections. This stamp works hand in hand with the first set and makes for a wonderful background stamp. I had a lot of fun making my samples and I have a few tips and hints to share that may be new, old, or just a refresher. Either way, I hope you enjoy them all. So here is my first card and I geared it towards a wedding them and to be honest, kept it quite simple except for the awesome bling. I love how my cake image turned out. Isn't that sparkle just incredible? There are probably lots of different ways to achieve this wonderful full coverage glitter look, but I'll tell you how I did it this time. I first stamped my cake plate onto my cardstock and set it aside. I took the bottom and middle layers (these are two separate solid image stamps in the set) and stamped them on cardstock. I cut them out and then added Scor-pal's double sided tape to my cut out cake layers. All I had to do was trim the tape around my already cut pieces, peel the liner off and douse them with glitter. The top layer is the same as the middle, except I just hand trimmed the sides in a bit. The glitter sticks awesome and then I adhered them to my card with pop dots. I also used pop dots/dimensionals to attach my Basic Grey Sugared paper. I did this to give some extra interest to the decorative corner punches I used. Now its time for my little tip. I decided to keep my sentiment off the front and place it inside the card. Cake Occasions does come with plenty of sentiments, but I wanted to step it up a bit so I incorporated a wonderful set that came out last year called Card Categories Too. In all, I had 5 separate stamps that I wanted to incorporate into a cohesive statement on the inside of my card. Voila, I now have a perfectly place word onto my block without bumbling around with my big 'ole fingers. Another positive to this is that you aren't mashing your stamp with your fingers while you are placing it on your block. In essence your stamp is rested in its natural molded form. I ALWAYS test my image first on a scratch piece of paper. At this point, I can adjust placement if necessary because I'll know if it looks off. And here it is on the inside of my card. I love the combination of the two sizes and fonts. Now for my second card. I wanted this one to be more festive and believe it would definitely work for a little boy's birthday too. Another simple design for the most part. I added just a bit of bling with some waterfall stickles and I of course love the look of the Nestabilities Pinking Circles. Its like you get to really decorate your own birthday cake. And trust me, I did that in my former life and its all about the pressure baby! Now, my third and final project is one that I really have fun doing. I'm sure you all know that gift bags are rather expensive to purchase, especially on the go. I simply adore just slapping on some pretty designer paper and adding some stamping to get something completely unique. Here I've take a simple white paper bag (most likely from Walmart or Michaels) and decorated it myself. Nice bag huh? Now here is what I consider a refresher or reminder tip, but if its new to you, it is a very handy thing to know. I have no idea who the originator of this technique was, but it was pure genius! I have several border punches that I love, but I don't have one that is just a plain one, so I decided to go back to the trick that was all the rage early last year. Creating your own scallop edge using the corner rounder punch with the guard removed. Now, in my case, I removed my guard and subsequently lost it - grrr... so what you are looking at is the not quite complete corner rounder. The key is to flip it over so you can see where you are punching. I always start in the middle and work my way to the edges. Its easy to keep it nice and even becuase the edge of your paper will gently rest on the small metal V at the bottom of the punch. After you have the first punch done, you'll want to move your punch to the left or right. They key is to have just a tad bit of the cut part showing when you punch the next scallop. And remember to use that metal V as your leveling base. And one more little mini tutorial for you. If you've been on the fence about Spellbinder's nestabilities, you should just jump off and get some. I absolutely love them to pieces. I wanted to create a quick, small, but cute little tag card for my gift bag, so I made one using one of the scallop circled nesties. The key here is to make sure that your nestability hangs over your scored card center ever so slightly. So cut your piece of cardstock slightly larger (after its been scored - which means you'll be cutting through 2 layers) than your nesty. And here is the inside of my little tag card attached to my gift bag. I just punched a hole and tied it with ribbon. And here is my finished gift bag. I used the companion stamp set called Cute Confections to create my background on my designer paper. Another thing I love to do is stamp straight onto paper that already has a pattern to it. In this case I went monochromatic in theme. The cake stand, cake, and the little cupcakes are all from the Cake Occasions set. Well, that's it for me folks. I hope you enjoyed the paper ride today and I wish you the very best of Tuesdays. $25 in Clear Dollar Stamps! I saw a lot of really nice entries out there! Thank you to all who participated in my blog candy!